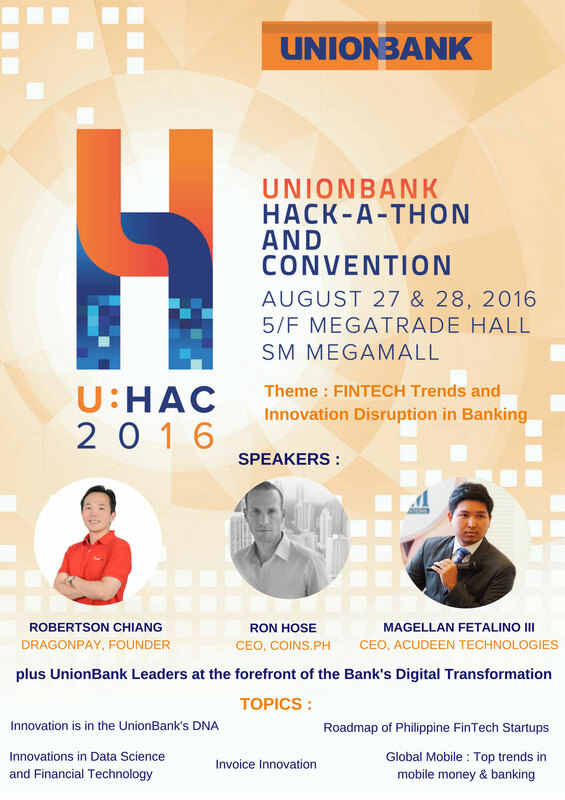 After the successful run of Union Bank of the Philippine’s first-ever U:HAC or UnionBank Hackathon and Convention in Cebu, the Bank is bringing the next leg of the U:HAC in Manila. This will be held at SM Megamall’s Megatrade Hall 3 on August 27 & 28, 2016 from 10am to 8:00pm. Just like in U:HAC Cebu, a slew of prizes and career opportunities await the participants who will be able to showcase their best, innovative and digital solutions to the challenges that will be given to them during the event. UnionBank executives and event partners will serve as judges and mentors to the participants. A cash prize of P80,000, P60,000 and P40,000 is at stake for the 1st to 3rd place respectively. Aside from the hackathon, the event will also have a Convention where key speakers are invited to discuss the latest on Banking in the Future and FinTech trends and innovations. It will feature some of the Philippines’ Start Up movers in the FinTech Space. There will also be an exhibit that will showcase UnionBank’s digital innovations together with its partners for the event. UnionBank has always been at the forefront of the digital revolution being experienced in banking. It is one of the first Banks in the country that has embraced digital early on in its operations with its goal to become a fully digitized Bank that provides Smart Banking to all of its customers. “We want to discover talented individuals, be it college students or professionals, that have superior knowledge on information technology, and software applications, who can contribute in making the digital arena more progressive and advanced based on their digital solutions,” UnionBank Senior Vice President and Human Resource Director Michelle Rubio emphasized. Interested students and professionals can already sign up for the event via www.uhacph.com or they can visit its Facebook account at https://www.facebook.com/UHac2016/. Interested individuals and parties may also contact 0917-9048777 or 0920-9734926. 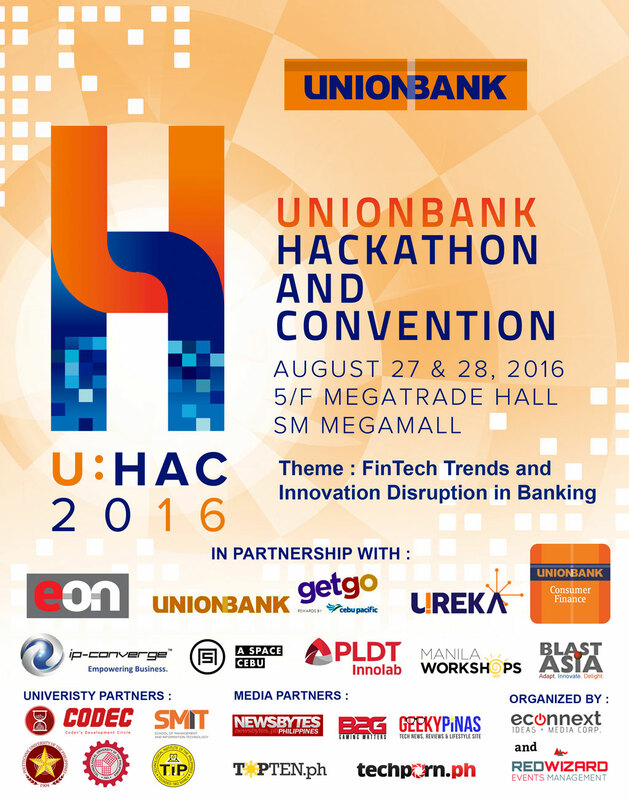 U:HAC Manila 2016 is in partnership with PLDT Innolab and IPC. U:HAC is organized by Redwizard Events Management. Geeky Pinas is one of the official media partners of this great event.